Electric vehicles powered by energy from the sun, wind and wave. Green MotorSport was the first team to represent Great Britain in WAVE back in 2011 and has been representing Great Britain for over 4 years in the WAVE trophy. It’s our main proving ground for all our automotive electric drive technologies. In WAVE 2011 we visited 36 cities between Paris and Prague. Each year the number of electric cars, vans and bikes participating has increased with the Guinness Book of Records confirming that a world record number of 481 battery powered vehicles took part in WAVE 2014. 75 teams from 14 nations have driven 1600 km across spectacular landscapes between Stuttgart, Bavaria and the Swiss Alps. Best design, most comfortable environment, best charging facilities. 1st place Sep 14th 2011. Completed Course : PEA Award winner in 2012 for Sustainability in Sport with WAVE. 1st prize, easy recharging technology. 3rd prize general class. Runner up in 2014 PEA Awards for Transport. Guinness Book Of Records achieved. Both GMS Team cars 1 & 11 Completed Kings Rally stage WAVE, Car 1, 3rd prize for best Prototype. 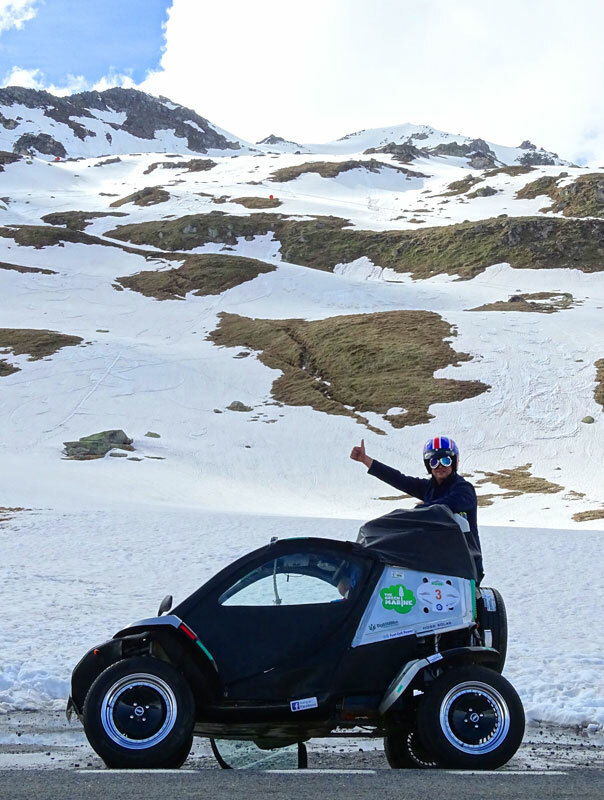 Both cars reached the highest point in Europe at 2750 meters in the Italian Alps. Team (11) winning best Blogger prize and 1st prize for Best Design. Vehicle 1 achieved 1976 miles and Team 11 achieved 2460 miles during WAVE 2015. 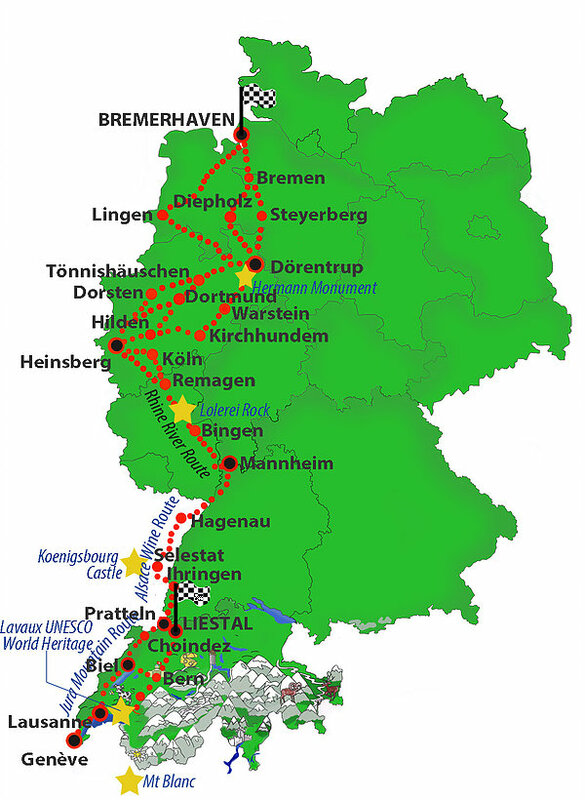 The 6th WAVE took place between 11th and 20th June 2016, with a route starting in Bremerhaven visiting Geneva stopping off at numerous checkpoints in 50 cities across Europe. The WAVE organisers assist by installing the latest recharging equipment en route, which will enable fast charging. Each WAVE adds to the number of European recharging points which are powered by energy from the sun and wind, so that drivers of zero emission vehicles will in due course be able to travel freely around Europe. If your company would like to join or support our dedicated WAVE team we have various opportunities to suit nearly every budget from technology partners to Corporate sponsorship packages. Project Aims: Complete WAVE rally and test the motor drive system. Supply the market with a cost effective robust electric utility vehicle. Charger: 2 chargers. Charged from any outlet. 13A 16A /three phase.